The number of words that your child knows is very important and can help them build the foundation for reading success. To help your child to acquire more vocabulary one of the most important things you can do is to talk to them regularly and especially when they first begin to talk. Even if they cannot respond, talk to them, tell them what you are doing, so they can start connecting words with actions. Singing and listening to rhymes and songs will help him learn new words in a fun way. Reading simple board books with few words and colorful pictures are an excellent way to associate words with images. Making these conversations part of your routine will help build your child’s vocabulary. Read books everyday, talk about what you see in your neighborhood, ask questions about a TV show they are watching to see if they are understanding. Ask them what do they think about what is happening in the show. The library is the best place to start building this love of books, reading and words! 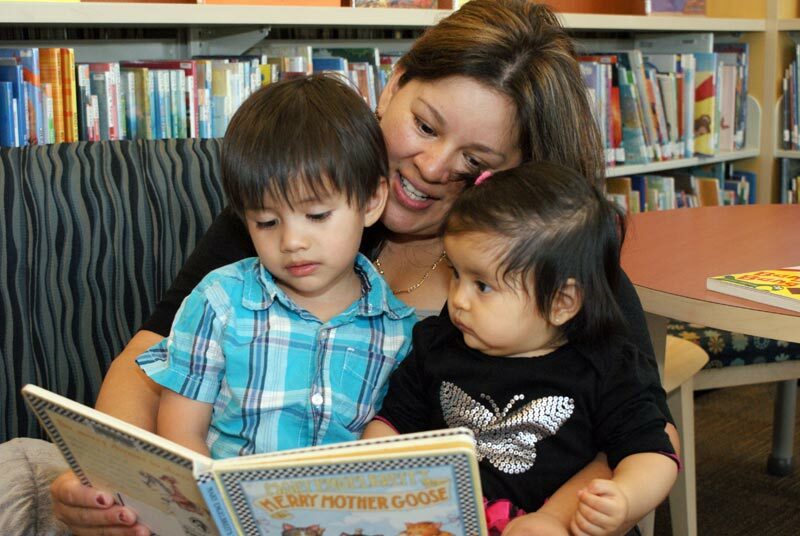 Attending a storytime or checking out books allows your child to have fun while learning! For more information on building vocabulary check out this article on Talking Counts!